I love garage sales and am an avid thrift store shopper. I love finding a treasure among the organized racks and piles of used items. I get satisfaction out of finding a new purpose for things and a new home for fun finds. I enjoy finding unique clothing with fun embellishments and made by unique brands. Most of my children's clothing has been purchased this way. I also purchase things for myself, as well as items for organizing and decorating my home. A friend and I planned an afternoon for visiting thrift stores in Sun Prairie. 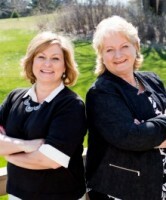 In the past year, Sun Prairie has gained two of our very own thrift stores. I also enjoy browsing the shelves at Savers and Goodwill on Madison's eastside. I find Savers to be especially clean, well organized and decently priced. Before you leave the house, take an inventory of clothing/sizes your family may need for the current or upcoming seasons. Look into jackets, boots and other seasonal items that you need to purchase every single year. Look at organizational projects you are planning in the home, garage or basement. You can find several fun baskets or containers at thrift stores, for a fraction of the cost. Always start with a cart when you enter the store. You just never know what you're going to find! Also, allow yourself plenty of time. Time can pass by very quickly while you are searching through deals and looking for specific sizes for every member of your family. We visited both stores and spent the entire afternoon at these two locations. I find that sometimes thrift stores price their items way to high for used items. I also note that prices are drastically higher than garage sales. However, if you shop sales right and are picky about what you purchase, you can find a lot of really good deals. Some items are even new with tags. My family has also enjoyed finding several new books and completing book series over the year, by visiting thrift stores. We were happy to find that there were also discounts on winter apparel and coats, during the first week of April. At St. Vincent DePaul, we received 50% off of the ticketed prices. I also had a Bucky Book coupon for Goodwill, for buy one apparel item/get one free (up to $4.29). Many of the thrift stores also offer loyalty cards. You either receive gift cards or automatic cash back on future purchases that you can redeem each time or accumulate for a larger purchase. My daughter needed pants and jeans for next fall. She also requested a black "leather" jacket. I not only found one, I found three to choose from. The pants were almost all half-off and had a lot of fun details on them. Our family loves using these Chat Packs to spark fun conversation at home. They are great conversation starters around the dinner table or after school. The questions really get kids - and parents - thinking and sharing!! The weather is beautiful in Sun Prairie this morning!! Head outside of your neighborhood this weekend and check out a park that is new to your family. Walk, bike or drive to one of these fun parks in the area. Enjoy that first picnic of the season or have your kids help clean up the park and dispose of litter. Remember that bathrooms are not open yet for the season! 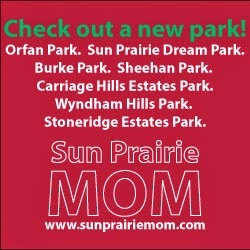 Check out the City of Sun Prairie website for a full listing of community parks, trails and shelters. I love shopping at Hyvee on Madison's Eastside. Their fresh produce is great, their premade salads and salad bar are amazing and their meat counter is super convenient and filled with a huge assortment for seasonal grilling. I looked over their flyer this week and decided to just stop in to purchase a few more good deals. My plan was to get only the items on the list and get in and out without purchasing anything else. We've been eating a lot of salad lately, so I decided to stop by and grab their deals on lettuce. I thought that it may be brown or expiring soon, but the expiration was listed at six days past my shopping trip. I'm typically opposed to drinking form disposable water bottles, but with the hustle and bustle of spring and summer coming up, it will be nice to have some bottled water on hand. When the kids and I plan a daytrip or do outings or errands, I always pack a cooler so that we don't have to stop anywhere to purchase something to drink. This is another way to save money and to avoid drinking sugar drinks or soda. I really enjoyed detailing my first trip to Aldi Sun Prairie recently. I found some incredible deals to fill up our pantry, refrigerator and fruit basket. Sooooo, I made yet another quick trip to Aldi Sun Prairie this week. Who wouldn't?!? I saw this week's sale flyer and had to make a stop last night. I was in and out in less than five minutes. That's another reason I love this place. I purchased all of this produce for $13.00!!!! Eleven packages of fresh berries. And, no coupon was necessary! Prices ranged from only $0.99-$1.39 per package. Stop by while these great deals are on sale - through April 21. Blueberries and avocados are also listed at incredible prices this week. I drive by the new Aldi location in Sun Prairie daily. 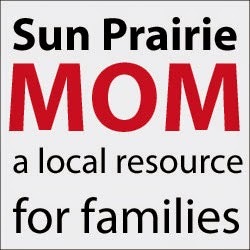 I've had a few Sun Prairie moms tell me that they go to Aldi for eggs, milk, cheese, pancake mix and fresh fruit that is on sale. Yet, I hadn't stopped into see what all of the hype was all about. After getting another flyer in the mail with their weekly specials, I decided to take advantage of some of their sales. I was intrigued by what I saw. I pulled out the flyer and selected the deals that I wanted to check out. $0.99 crescent rolls and packages of fresh strawberries for $1.29 really had me - and the kids - excited to load up our shopping cart. Speaking of shopping carts, I was forewarned by other families that you need to bring a quarter along to unlock your shopping cart from the rest and that your quarter is returned back to you, once you lock it back up. This ensures that you return your shopping cart to it's home and don't leave it solo in the parking lot. My little guy enjoyed managing the quarter, and I can tell that it's going to be "his job" every time we stop at Aldi. We browsed the aisles for about twenty minutes. There were a lot of good deals on the store brand chips, cereals and other pantry items. I opted not to purchase too many of those, however, as I was told that some of them aren't as good as regular or store brands. I also wanted to shop pretty clean during this shopping trip. I spotted the deal on eggs for $1.29 and loaded up for color Easter eggs. I also loved the deals on canned vegetables for only $0.49. We love cheddar cheese sticks at home and got a package of twelve for only $2.69, however my husband said he doesn't like them as well as the Sargento brand. I don't think my kids noticed the difference that much. We loaded up on five packages of the fresh strawberries. Why not??!! Cooking spray was only $1.39, so I threw one of those in, too. We splurged on $1.99 Easter pasta, just for something fun. I was excited to see that their coffee Keurig cups were under $5.00 and purchased a box. These were my big purchase. The $1.79 milk was an excellent reduced rate. We loaded up on bananas, which I hadn't had much luck with at Woodman's. Aldi and Kwik Trip will now be my quick stop for cheap (and good!) bananas. I enjoyed every last one of them - most in protein shakes. We picked up a couple of those cheap crescent rolls and a couple boxes of mini muffins for only $1.99. I think that my husband enjoyed those just as much as the kids. They all said they were just as good as the regular brand and at less than two bucks, I find them an incredible deal on classroom snacks. I have even gone back to purchase more since our first shopping trip. A large tub of butter was around $1.50 and tasted just as good as the Country Crock butter I purchase at the grocery store. My daughter threw in a bag of Veggie Straws. We like the regular veggie straws and I thought that these were good if not better. And they were much more affordable. I also want to try their kettle chips and sweet potato chips now. I LOVED the $1.99 deal on hazelnut spread, since I am a an of Nutella. Mini bags of carrots were $0.49 so we purchased a couple of those with $0.99 ranch dressing for a semi-healthy snack. When shopping at Aldi, you also need to bring your own disposable bags, or you are charged for them. Having been so excited about the whole excursion with the cart for twenty-five cents, I had to send my daughter back out to the car for our disposable bags. The kids helped bagging. The cashier will check out your purchases and then put everything back in your cart. It is your responsibility (or your kids'!) to push your cart over to the next counter to bag your groceries in your reusable bags. These items along with many others totaled only $43.35. I used these items to supplement what I had in my freezer, refrigerator and pantry for the week. And, I didn't head to Woodman's once during the week. I certainly wouldn't do all of my grocery shopping at Aldi, but it is a quick place to stop for a "few things" or to snag a few deals to round out your meals with affordable fresh fruit and veggies or sides. I wouldn't definitely take a peek at their store flyers before you head out to see what might be of special interest to you that week. I tend to stop at Target if I just need a few things, and we all know how quickly that basket fills up, along with other cute items that you just have to have. So shopping at Aldi with my short shopping list should work out well for my budget. Aldi is also a great place to grab an assortment of prepackaged snacks (muffins, crackers, granola bars, fruit snacks) for school that are price-pointed just right. If you are like me, you are constantly striving to get more done each day and spend more quality time with your family. There's nothing like running from one activity to the next, pulling meals together in a hurry and jetting out the door with five bags, a coffee cup and two kids in tow. I often wonder what I did with all of my time before I became a mother. I am still trying to invent the eighth day of the week, allowing me to squeeze just a wee little bit more out of life. I am an avid multi-tasker and well-known planner. I plan my days and weeks to make sure that, (a) the things that need to get done are completed and (b) the things that I want to do with my family and for myself are also addressed. This includes fun family activities, one-on-one time with the kids and my spouse and time for myself. Look at the week at a glance. Review your family's schedule every Sunday. 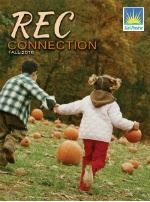 Review kids activities, business meetings, and special events. But, most importantly look at the FREE TIME. Spot where you may have an evening free and plan something fun with the family, a date night with your spouse, or a girls night with your friends. Or designate that time to check some things off of your to do list. Meal planning and preparation. Over the weekend, take inventory of your refrigerator and pantry. Plan your meals for the week and make a list of items you need to fill in the gaps, and add produce. Use this time to cut up fresh fruits and veggies and pack to-go snacks and lunches for the kids during the week. Make one grocery trip. After you've made your grocery list, make sure that you are only heading to the store once each week. So often, we head to the store to pick up a few extra things here and there. This not only uses up our free time, but it can also add to our grocery bill. Devote one shopping trip per week - and stick to it. Prioritize your errands. Look at your family's schedule and decide which errands need to be run. Pick up a birthday gift, make a bank deposit, run to the post office for stamps, visit a relative. Decide how these errands can be grouped together, completed at one place or maybe some of them can be done online - including mobile deposit. 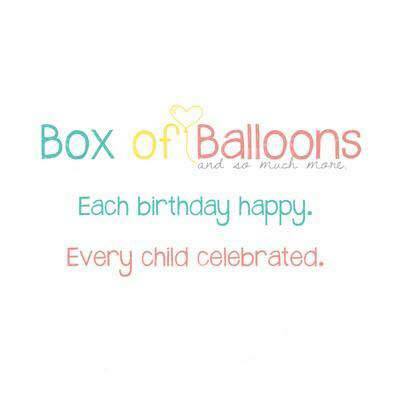 Maybe even some of them can be done during another family outing or while the kids are at an activity. Schedule your workouts. If you are trying to squeeze in a thirty minute yoga class or a three mile run, try dividing them up into two or three smaller segments. Squeeze in time for yourself when you can. Put these workouts on your calendar, just like any other appointments you have. Outfits for an entire week. I really enjoy setting my clothes and accessories out for the week on Sunday. I often do this for my kids as well. Sometimes the weather can be iffy, but planning ahead (and dressing in layers) can save your family lots of time in the morning. This also ensures that your family is getting use out of their entire wardrobe and not just a few favorite items. Automate the laundry. Designate one or two evenings a week that you can devote to laundry. I've become very fond of the delayed timer on my washing machine. I often set it to go off one hour before I wake up, so that I can put in the dryer when I wake and then fold before I leave. I also set the timer, so that another load is completed when I arrive home from work. Have your family pitch in, by folding and putting away their own piles. Mid-day multi-tasking. Use your lunch hour for a walk, to pay bills, run errands, respond to emails or write out to do lists. You will be surprised with how much you can get completed in thirty undistracted minutes. Over five days, that is like gaining 2-3 hours at home each week. Clear your inbox. Set aside ten minutes each morning to respond to personal emails. Clear your mind and your inbox. Become an early riser. Set your alarm fifteen minutes early to get one item crossed off of your to do list each week. Whether it be cleaning a bathroom, going for a walk or reading a chapter of your favorite book over coffee, use those fifteen minutes to do something that feel you need to get done that day. 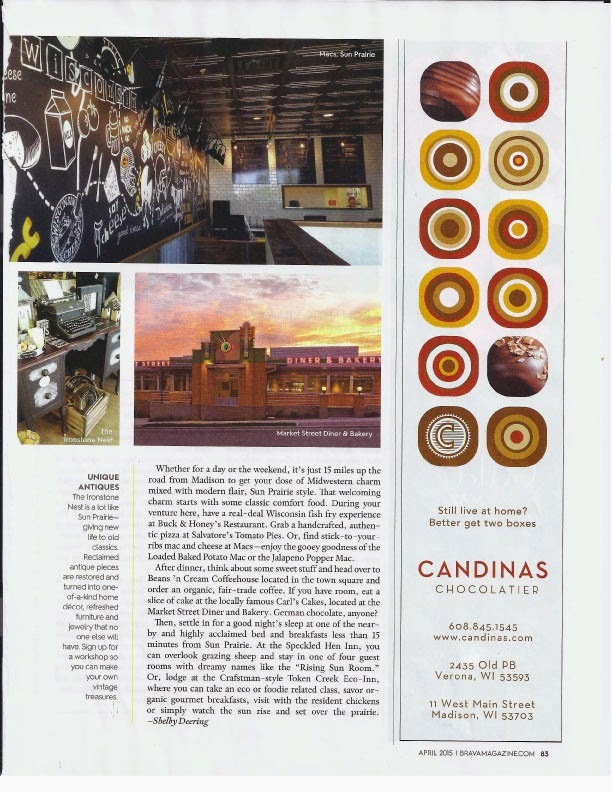 You may have been browsing through the pages of this month's Brava Magazine and noticed some familiar sites. 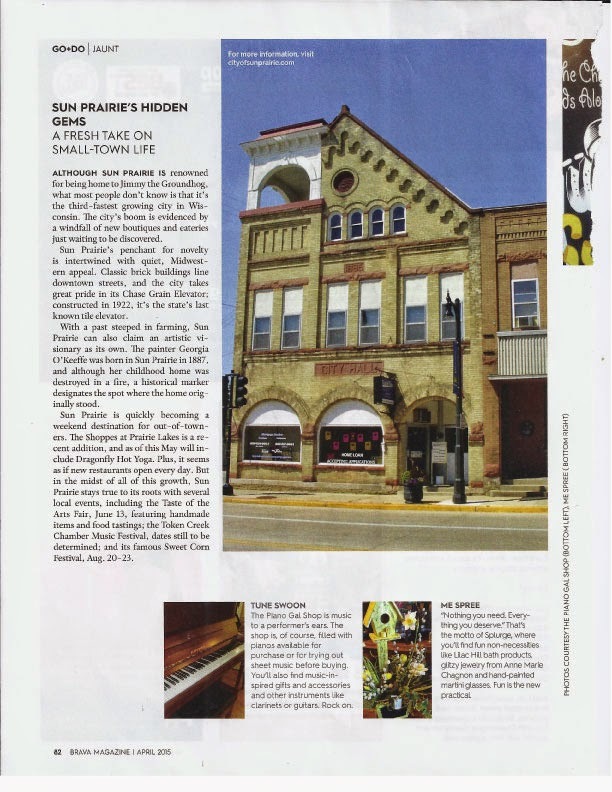 The Sun Prairie community and a few local, small businesses were featured in Brava Magazine's "Sun Prairie's Hidden Gems: A Fresh Take on Small-Town Life" article this month. Check out the April 2015 Go + Do section to read the full article.